Johns Hopkins | Adventures of a Funky Heart! I got to know something about heart failure the hard way, by having it. Heart failure affects millions of Americans, including me. The odds are that you (or someone you love) will have to deal with it, eventually. But as grim as it sounds (Oh my God, Heart Failure! My heart has failed!) it is survivable and you can live with it. Mary is – and she’s learned enough that she’s written a book, along with Johns Hopkins Chief Cardiologist. The blog is an offshoot of her book. The first entry is a story that many Congenital Heart Defect patients and their parents are familiar with: a misdiagnosis and a roller coaster ride to figure out what is really going on. Mary’s heart failure blog is the feature today and will move into the blogroll tomorrow. This was taped earlier today at the Regional Forum on Congenital Heart Disease. My name is Steve Catoe, and I was born in 1966 with a Congenital Heart Defect known as Tricuspid Atresia. If you are not familiar with that defect, Tricuspid Atresia means that my Tricuspid Valve – which is the door connecting the Right Atrium to the Right Ventricle – does not exist. Because of it, my Right Ventricle is very small and almost cut off from the rest of the heart. I write a blog named “Adventures of a Funky Heart!”, where I write about growing up with a heart defect, the latest in Congenital Heart research, and news about advances in the field. I try to make it interesting and use a little humor, so hopefully you’ll keep coming back and reading every day. Hopefully I can help you by giving you information about heart defects that you can use – and I try to do it a little bit at a time, so you don’t feel like you are trying to drink directly from a fire hose. Usually when I get a chance to speak to a group I talk about spreading awareness and I talk about our Cardiac Kids and I talk about adults living with a heart defect, who I call Heart Warriors. I’m scheduled to be on the Adult Survivors Panel too, and I plan to be around for the rest of the day, so if you want to talk to me about anything I’ll be here. But I asked for a little bit of extra time to tell you a story. I was born on a Tuesday, and on Friday, they started to realize that something wasn’t right. I don’t know if my mother noticed it first, but that was probably the way it happened. Moms know their babies, and they are almost always the first one to pick up on any problem. So they took me to my pediatrician, who figured out that I had some type of heart problem, but he wasn’t sure what. So he sent me to the nearest hospital that could help me. The doctors there told my parents that I had Tricuspid Atresia, and they should take me home and love me, because I wouldn’t be here that long. Well my parents didn’t think a whole lot of that statement, and neither did my doctor back home. In fact, he said it was completely unacceptable. So he found four places that could try a surgical repair: Johns Hopkins, Mayo Clinic, the University of Virginia, and the Texas Heart Institute. Mayo and Texas he threw out because of the travel distance. Virginia, which was his own medical school, he eliminated because he didn’t think they had enough experience. That left us with Johns Hopkins. He called, and things were set up for that summer. My parents would take me to Baltimore, I would be evaluated, and if possible, the Hopkins surgeons would attempt the surgery. That night all hell broke loose. I went into heart failure, my heart rate shot up to 200 beats per minute, and I was rushed to my local hospital. I was there a week while they tried to get me stabilized; in the meantime, my pediatrician was working the phones, relaying information about me to the Hopkins doctors. They were telling him that I needed to get there as soon as possible. Dad picked me up at the hospital and drove home to pick up momma, and we immediately left for Baltimore. Remember this occurred in 1967; I-95 hadn’t been completed yet. After driving all day they needed a break, so they stopped at a hotel in Petersburg, Virginia. They had been asleep about an hour when Momma got up to check on me. She happened to glance out the window and it was snowing as hard as she had ever seen it snow. She woke daddy up, and we were back in the car and moving within a few minutes. Cars were stuck in the snow all along the roadway, and daddy was stopping every fifteen minutes to wipe the windshield off with an old rag. When they passed through Washington he actually thought about putting me and momma on a train to Baltimore and catching up to us later. It’s a good thing he didn’t, because he found out later that the snow was so bad that the railroad shut down their trains for the night. Three families were expected by the Children’s Medical Center that day, but we were the only ones who made it. The doctors examined me and then asked my parents for permission to do a Catherization. After the Catherization, the head Cardiologist came out to talk to my parents. “He is down to hours,” he said. “We need to operate right now.” He added that my odds of surviving the operation were 50-50 but without it I had no chance. My parents had about five minutes to discuss it before they had to decide to risk the surgery or just let me slip away. I was taken into the operating room at 10:30 that night, and the operation ended about three in the morning. My folks didn’t leave the hospital until they saw me afterwards, so it was almost daybreak when they went to a boardinghouse about a block away. I have to admit that I begged Karen and the organizing committee for a few moments to speak to you today, almost to the point of embarrassing myself. Because that surgery took place on the night of February 17, 1967 – almost 43 years ago. My parents are just ordinary people; but that night they turned into a Heart Mom and a Heart Dad just like you. And I’m here today because they have always been willing to ask one more question, explore one more option, and go one more mile. So I wanted to take a few moments and tell you my story, encourage you to hang in there no matter what, and on behalf of all the Cardiac Kids and Heart Warriors, to just say Thank You. Back in August I blogged about faxing a HIPPA compliance form to Johns Hopkins Hospital to get some medical records from my 1967 heart surgery. I already had the records, actually, but I had managed to misplace several of them. So I filled out another compliance form and faxed it to the Medical Records office. Hopkins responded by sending all of my medical records from that first surgery, not just the 12 sheets I already had. I returned to Hopkins several times for check ups until I was about five years old, but none of those records are included. So now instead of 12 sheets, my stack is about an inch thick. This was a lot more information than I expected, and every bit of it is interesting. I have Catherization reports, – one of which destroys a family legend; I always thought that we arrived at Hopkins at roughly 10:30 PM, but the Cath report says that I was brought into the Cath Lab at 6:16 PM. Daddy says we arrived at Hopkins about 3:30 pm, and the surgery itself began at 10:30 PM. There are Radiological reports but no X-rays. I wonder if they deteriorate over the years. Possibly they are filed away in a different place, since all my records are copies, most likely made from microfilm. The title of the sheet is OPERATING ROOM REPORT. And this is the entire report, not just the summary and the little bits and pieces of my operation that I assume from what I already know. After the temperature was down to 32 degrees we used inflow stasis and during a three-minute period of inflow stasis dissected a sizable portion of the Atrial Septum. I was too small for the heart/lung machine, so the surgical team stopped my heart temporarily by hypothermia – They literally put me in ice and cooled me until my heart stopped. During a three minute period of no blood flow doctors cut into my heart and enlarge an Atrial Septal Defect (ASD). For the heart to work (and its owner to survive) blood has to be able to complete the Cardiopulmonary circuit: flow from the body into the heart, move from the heart to the lungs, then back to the heart, and once again out to the body. Because my normal pathway is blocked my blood “escapes” through an Atrial Septal Defect (ASD), and that earlier Catherization had revealed that my ASD wasn’t quite big enough. …at the end of this part of the operation we proceeded to prepare the vessels for a right Pulmonary Artery anastomosis after the technique of Glenn. This is a phrase that I type often and Funky Heart readers are probably tired of seeing: I don’t have the Glenn Procedure that is currently in use. That’s known as the Bi-Directional Glenn, because blood is rerouted to both lungs. I have the original version of the operation, the “Classic Glenn” or sometimes called the Unidirectional Glenn. In my version, the right branch of the Pulmonary Artery is cut and sewn into the Superior Vena Cava, so the majority of my blood flows into my right lung. CLICK HERE to see the best drawing I have ever seen of the Classic Glenn Procedure. Chest was closed in layers with #00 catgut and skin with Dermalon. The patient tolerated the procedure well. This is probably the moment when the study of defective hearts began: a day in 1899 when Canadian physician Maude Abbott found an unusual medical specimen and wondered What in the world is this? Recently named Assistant Curator of the Medical Museum of the McGill University Medical School, Abbott was appalled at what she found. A properly organized Medical Museum was a valuable resource to a medical school of the 19th century. Students could go down to the museum and study preserved organs and cadavers to learn about the workings of the human body. McGill’s facility hardly deserved the title; it was more like a giant linen closet full of surplus body parts. “Let’s organize and catalog our exhibits,” Abbott suggested. “Find out exactly what we have.” Her boss glanced at the calender on the wall, figured three weeks before his retirement was not the time to begin a major project, and said no. He wasn’t interested, but if Maude wanted to, go right ahead. And that was what Maude Abbott was doing when she found it. What in the world is this? It was a heart, obviously, but it was unlike any heart she had ever seen. There were two Atriums but only one Ventricle. No, there were two Ventricles, but one was so tiny that she almost missed it. Two valves drained into the same ventricle, leaving the other one isolated. The specimen container was labeled Ulcerative Endocarditis. That was almost certainly what led to the owners death; experts have speculated that the specimen was a Cor Triloculare Biatraitum heart, a very rare defect. No one knew anything about this heart, other than the fact that it was obviously deformed. Abbott thought of someone who might know, Dr. William Osler. Now a major figure at the new Johns Hopkins Hospital in America and one of the world’s most respected doctors, Osler had graduated from McGill. She had met him in Baltimore the year before, perhaps he would answer a letter from someone at his old medical school. Not only did Osler answer, he seemed to know the item Abbott had asked about. Osler described the heart and referred to it as the “Holmes Heart” because it had been donated to the museum in 1822 by the Dean of the medical school, Dr. Andrew Holmes. Holmes had also documented the heart in an article that had appeared in the Edinburgh Medical Journal. Abbott began to search for that issue of the EMJ. Finding a 75 year old medical journal wasn’t easy, but she located one. She was stunned to read that the heart had been removed during the autopsy of a 22 year old man. Someone had lived 22 years with this heart? How? Since the heart had been “lost” for an unknown amount of time, Abbott revised the article, documented the recovery of the heart, and submitted it to the McGill Medical Journal under her own name. But she was left with this strange heart and the thought that someone had actually lived to adulthood with it beating inside their body. It must have struggled to produce every beat. Already an noted expert on hearts who had produced a major work on heart murmurs, Abbott decided to study defective hearts in more detail. And this could have been the starting point of Congenital Cardiology – a malformed heart floating in a sealed glass container, sitting on a shelf for over 70 years. 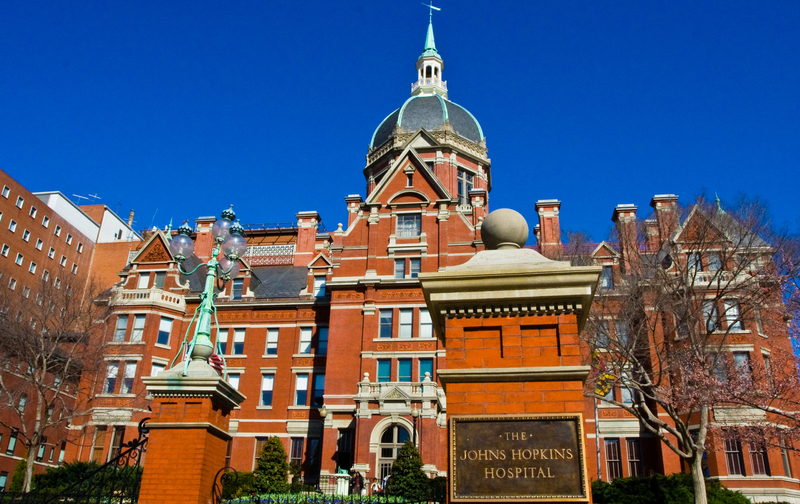 My main task yesterday was to get my information together and fax the Medical Records department at Johns Hopkins. I don’t know what happened to them or where they went, but I have misplaced some of the photocopies of my records that I had gotten from them. It was rather surprising that I actually got them. I emailed them and asked if records from February of 1967 were still available. Surprisingly, they said they would look for them! And now I have managed to misplace them! Ain’t life grand? You really ought to have a copy of your medical records handy, just in case. The more complex of an illness you have, the more useful they will be. I have multiple copies – an 8×10 folder (Which I take with me when I travel and leave somewhere in my room that it will be easily seen), a 3×5 folder in my back pocket, and a copy stored on a USB stick clipped to my belt. If I get taken into an Emergency Department unable to speak, I ‘ve got what I need. And you have to look through everything and decide what’s important and what is not. I edit mercilessly – that unexplained fever I had in the 5th grade probably isn’t a concern any more, so that report stays at home. This is what I have in my heath folder: my vital statistics, insurance information, who to contact, allergies, information about my defect, corrective surgeries, diagram of my heart, and the last EKG I had. The basic stuff. What you can also have that is invaluable is your surgical report. Whenever an operation is performed, a careful record is kept of the procedure. Here’s an example: Alfred Blalock’s surgical report of the first Blalock-Taussig shunt. (Page 1; Page 2) Having them is almost like letting that doctor travel back in time and see the original operation – he might have to call for a surgical consult to help him interpret them, but he’ll know exactly what was done during your operation. Getting your surgical records might be difficult. The older you are, the better the chance they have been stored, filed and lost, and perhaps even disposed of. If you are the parent of a young child, be sure to ask for the surgical notes. The doctor may say, “Sure, no problem!”, or he may have to ask you to sign a form to show that they were transferred legally. You might have to jump through the hoops that the HIPPA law places in your way, but if they can be obtained, get them. Hopefully you’ll never need them, but if you do, they could save your life! “In late November 1944 Dr. Blalock did the first Blue Baby operation on Eileen Saxon. I believe Denton Cooley was the Intern. The operation was done in late November just before changing services, and I rotated onto the service as Denton rotated off. My job was to take care of Eileen. A lot of people, mainly Dr. Blalock and Dr. Taussig, were hovering over her. She didn’t seem to be less blue than she had been before the operation, but Eileen got better over the next few days.